The entire lifestyle and culture over dog ownership is wonderful phenomenon that many people have dedicated their lives to. Buy a single copy or subscription to Modern Dog magazine. Having a dog as your best friend is one of the greatest things about life for dog owners, and because of all the wonderful things that dogs can do it is no surprise that people from all around the globe just can’t get enough dog in their lives. Additionally, with all the different breeds and mixed breeds out there, it is fairly difficult to stay up to date about everything that is happening in the pet world. 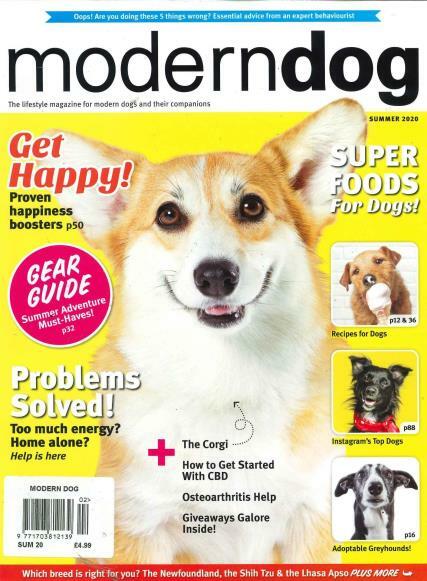 Modern Dog magazine takes this great love for dogs and presents in a compelling magazine featuring modern dogs from across the globe, so if you’re a dog lover than this magazine will certainly bring you everything you’d want to read about at look at concerning dogs.